Musical instruments made with glass have been known for centuries, in 2.500 B.C. in ancient Persia and China glass and porcelain instruments already existed. 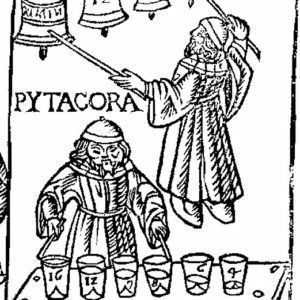 In Europe, the earliest reference to glass music dates back to 1492 when a set of glasses tuned with water used in a “Pythagorean experiment” was described in Gaffurio’s “Theorica musicae”. Even Galileo mentions the “wet finger around the wine glass” phenomenon in his “Dialogues Concerning Two New Sciences”. However the first musician to ever play classical music on a set of wine glasses was an Irish man named Richard Pockrich. 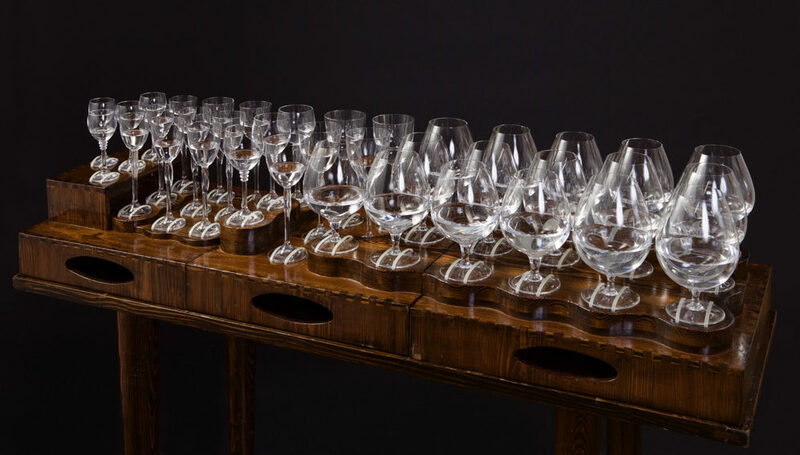 He created his instrument in 1741 and called it the “angelic organ”, it consisted in a set of 25 wine glasses tuned with water and mounted in a wooden box. Pockrich became a virtuoso glass player and is known to have extensively performed, mostly in the British Isles. Soon after Pockridge’s debut other musicians started playing the musical glasses. Anne Ford (1732–1824) was a glass music performer, well known in London, and the first to publish a ‘method’ on how to play them. German musician and composer Christoph W. Glück was known to be a virtuoso glass player before becoming famous for his operas and, trying to catch the public eye, he ambitiously declared he was able to perform anything that could be done on a violin or harpsichord. During the same years Benjamin Franklin attended a glass music recital in London. He was most astonished by the celestial sounds of the instrument and came up with an idea to improve the instrument. With the help of a skillful glass maker he made a set of glass bowls that could nest inside each other and spin around on a rod. This way the player only needed to touch the spinning bowls, the rims were very close to each other allowing to play more notes simultaneously. It was called the “glass harmonica”, created in 1761 its one of Franklin’s many inventions. By the end of the 18th century glass music gained popularity all around Europe. Mozart, Beethoven, Tchaikovsky and other famous composers wrote music for the glass harmonica, however these glass instruments suddenly disappeared in the beginning of the 19th century. Musicians probably focused more on orchestral instruments, once symphony orchestras started playing in large concert halls, chamber music was not so popular anymore and the sound of glass instruments was just not loud enough. German physician Franz Mesmer, from whose name the word “mesmerizing” comes, is known to have used the sound of the glass harmonica to induce a state of hypnosis his patience, believing that this instrument had special healing qualities. Not much is known about his experiments as they were not officially recognized by the scientific community. In 1830 all glass instruments were banned in some European cities. It was believed that the sound could cause mental and physical problems, specially to musicians that practiced many hours. This fact might have discouraged musicians to start playing these instruments. However modern science has proved quite the opposite and it is believed that, in the past, problems were probably caused by the high quantity of led that crystal contained in those days, absorbed by the skin while playing. Apparently glass instruments almost disappeared for about a century, and never became as popular again. 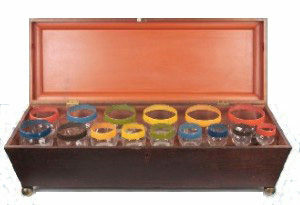 In 1919 Richard Strauss included the glass harmonica in his opera: “Die Frau ohne Schatten”. A decade later, in 1929, German Musician Bruno Hoffman revitalized the old musical glasses, spending much effort to improve his instruments. After designing a special glass shape that was ideal for playing, he had all his glasses tuned by grinding them so there was no more need to tune them with water. He called this instrument the “Glass Harp” and gave a great contribution to pass this musical tradition on to the present.